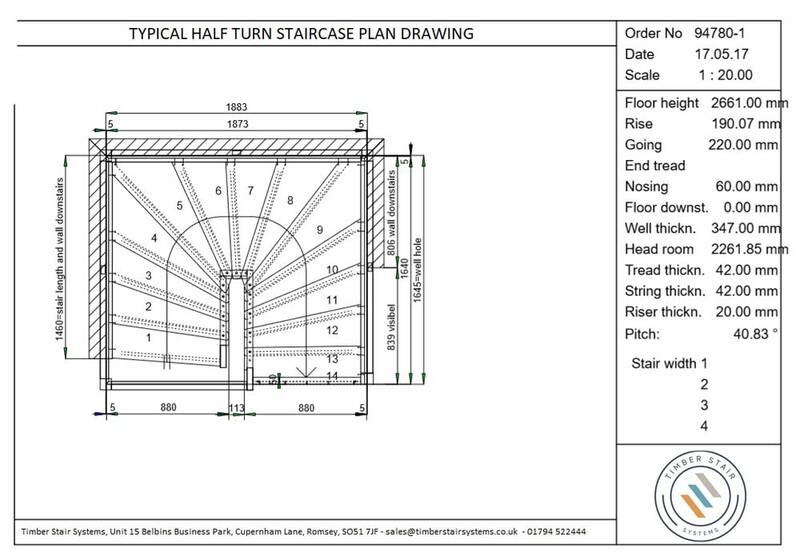 Staircase Drawings are prepared for all our floating timber staircase as they are custom made. Each is produced to a specific floor to floor and each stair has a unique step height, step depth and width. Of course each model is personalised with the clients choice materials. 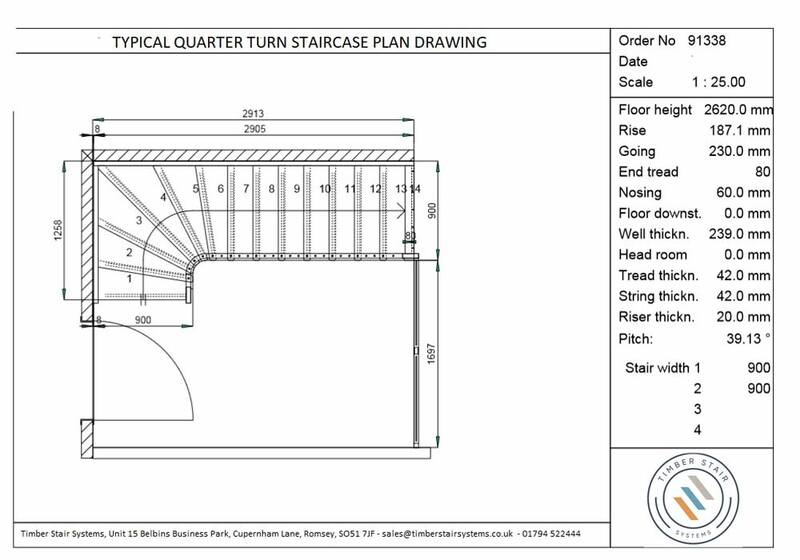 To produce a custom made staircase, detailed drawings are prepared. 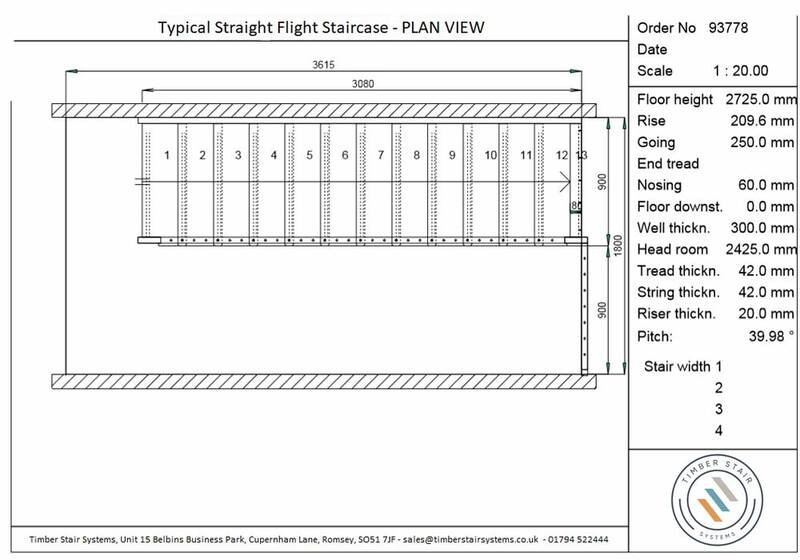 This is so the measurements can be cross referenced with the site and the layout confirmed. They also help illustrate to the client what they will be receiving. These drawings are also important for production as the software used to produce them links directly with the CNC cutting machines. 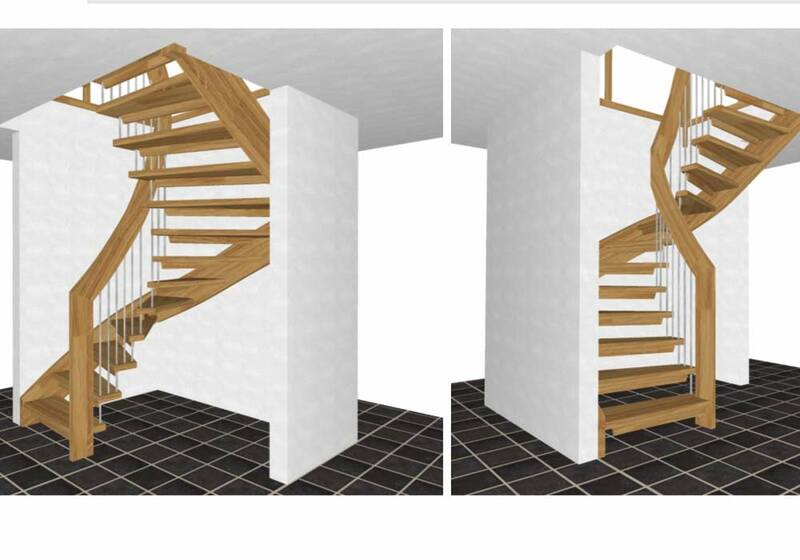 Our floating timber staircase can be produced in most common staircase configurations, these being. 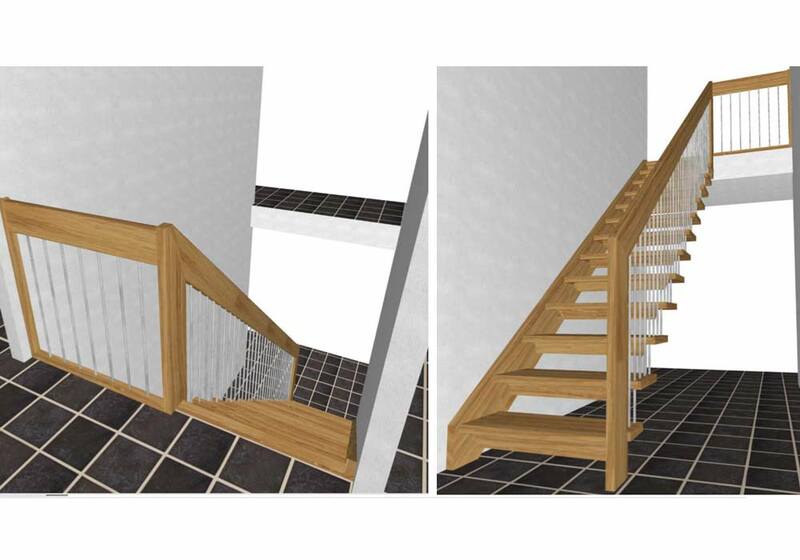 Providing there a wall alongside the majority of the staircase the system can match any of these shapes. The turns can be made anywhere along the flight. 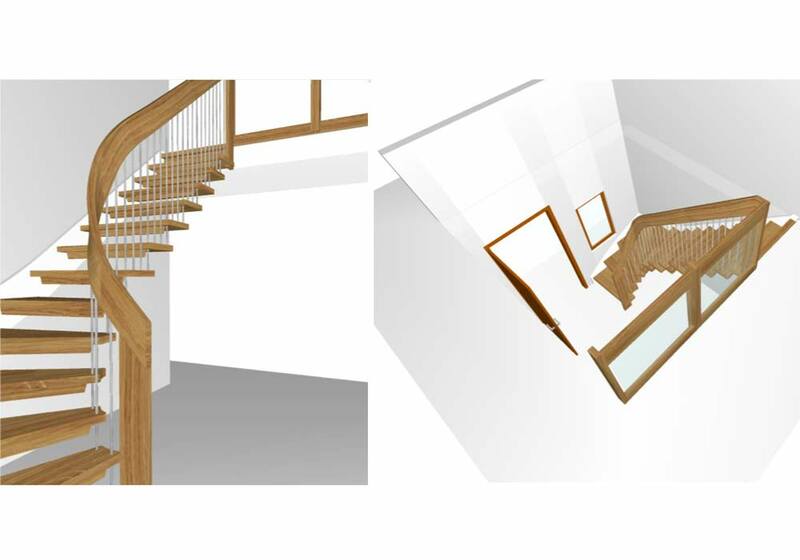 Below are some typical examples of drawings prepared for projects in the configurations described.